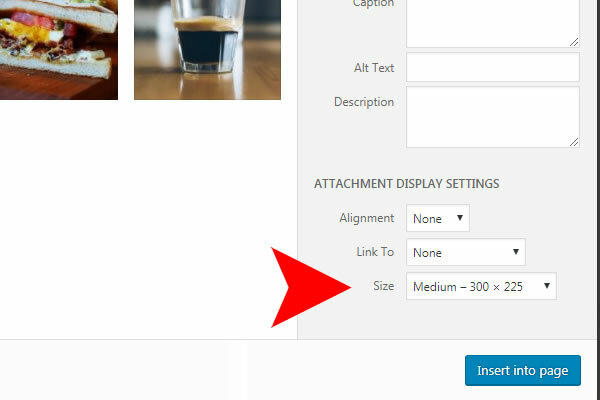 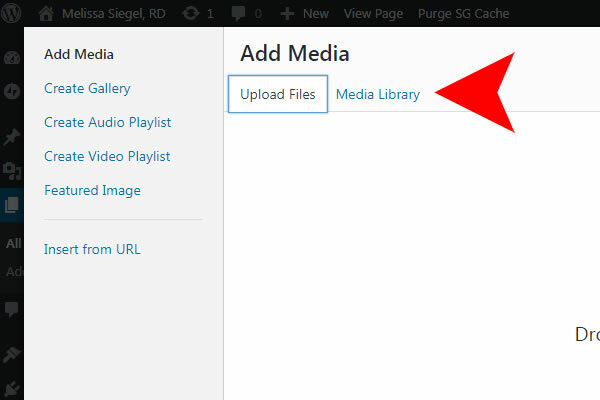 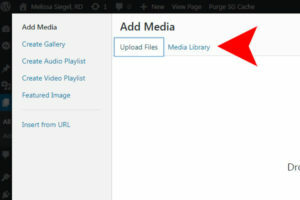 If you want to add images to the pages of your WordPress website, the following instructions will help you learn how to add an image to your page, and it will discuss image sizing, so the image you add will not be too large or too small, for the page. This article assumes you have already created a page, and are starting in the WordPress Dashboard, which is the page you see when you first log in. 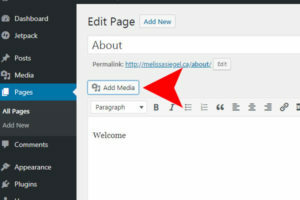 Remember, you must click on the blue “Update” button near the top right hand side of the page to save all of your changes. You can also click on the grey “Preview” button near the top right hand side of the page to view a draft of the page as your visitors will see it.